HKU Location IBB-Laan is situated in Utrecht (Ina Boudier-Bakkerlaan 50) and accommodates the Schools HKU Design, HKU Music and Technology, and HKU Games and Interaction. It is situated nearby the city center. 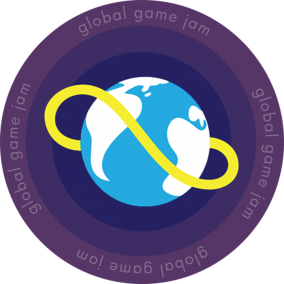 This is the third time that HKU will host GGJ at this location. HKU University of the Arts Utrecht, the first to offer a game design program on the European continent in 1998, was established in 1987. With around 4000 students across a wide array of bachelor, master, and post-academic programmes and courses it is one of the largest higher education institutes for culture and the arts in the Netherlands and Europe. HKU University of the Arts Utrecht is nationally and internationally recognized for its teaching and research in digital and interactive media, its research in the areas of visual narrative design, music design, and game design and was highly ranked by Business Weekly as one of the world’s most influential design institutes. The Institute for Creative Design (at the Department of Art, Media, and Technology) counts over 1100 students and 300 staff members who combine excellence in the design of digital media with applied research and design to find solutions for complex challenges in our society. Students collaborate in cross-disciplinary teams on assignments from a wide range of clients and partners. They deliver state-of-the-art prototypes and concepts demonstrating the added value of creative design and technology. Whether it is for health care, safety or sustainability, their creative capacity, and innovative potential are challenged by complex design problems. Additionally, dedicated research teams work in parallel on larger research and design projects in national and international consortia (like the GATE project). With over 100 externally assigned projects a year, the Institute is involved in a substantial amount of creative output to help shape society and creative industries of tomorrow.